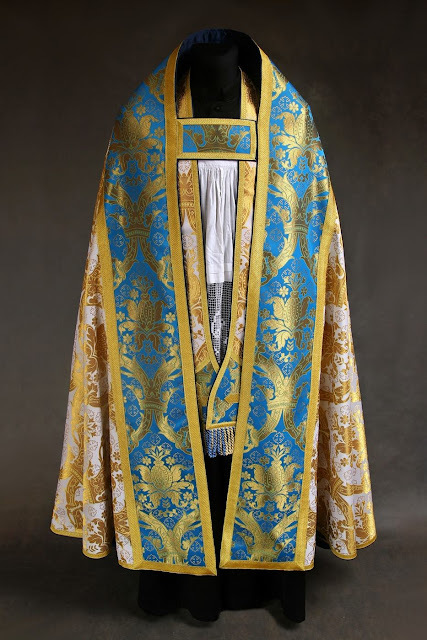 For those who admire blue vestments for Marian feasts but who do not live within locales where this privilege is available, take heart, there are some options available to you that remain within both the letter and spirit of the law. 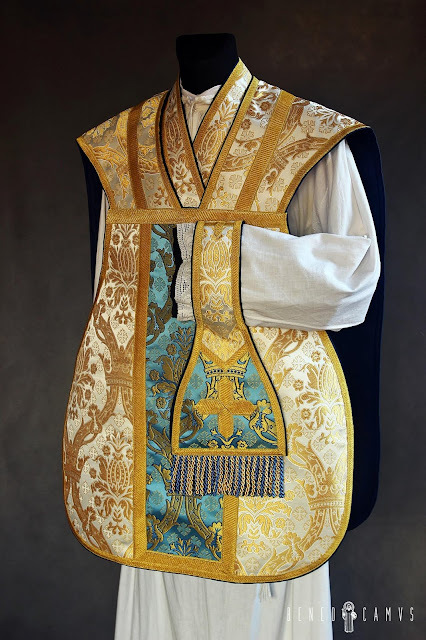 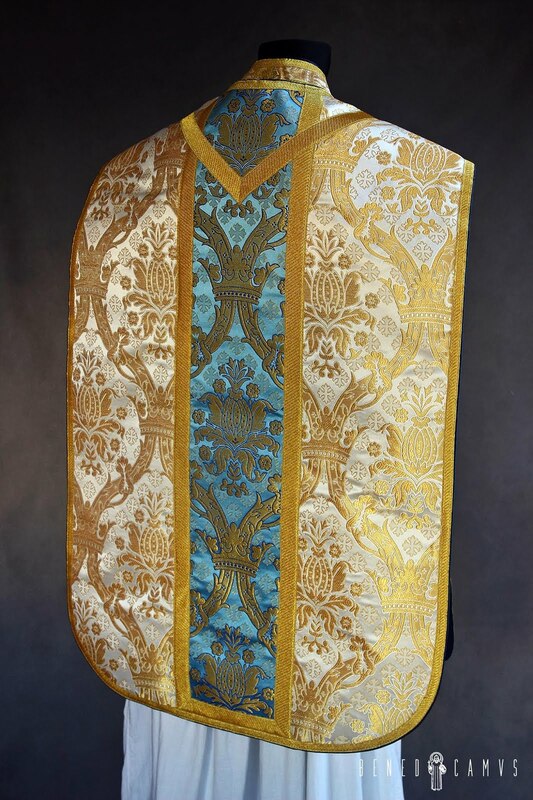 Generally the way this is manifest is by way of a white or gold vestment that has a significant enough amount of blue in its design to be noticeable -- but not so much as to overtake the dominant white/gold character of the vestments overall. 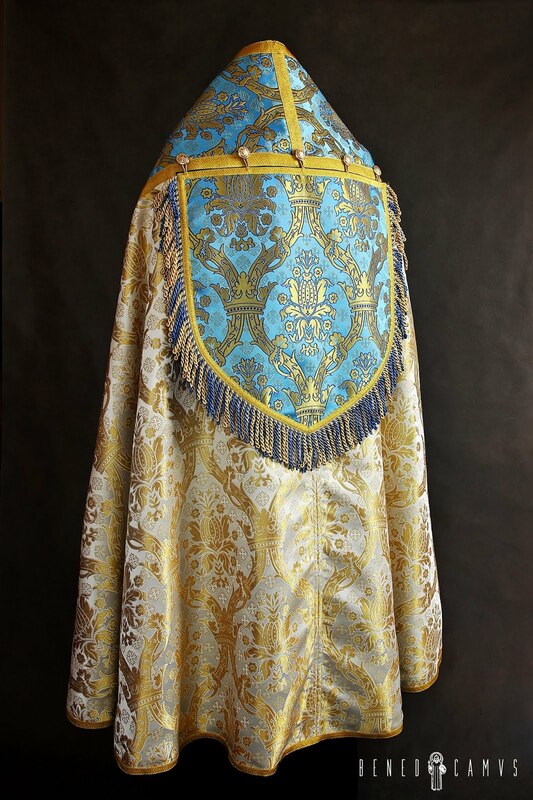 Some examples of such designs can be found by way of the Polish vestment maker, Benedicamus -- and it provides another good opportunity to showcase some of their excellent work. 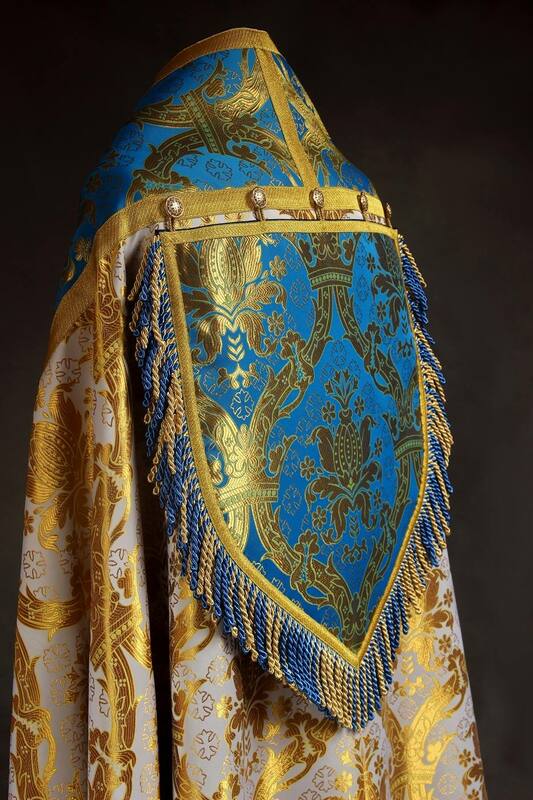 Let's take a look, beginning with one of their copes. Some comments to follow. I really enjoy the details of this particular vestment. It is very well balanced in its design and avoids relying too heavily on the brocaded textiles alone -- a common mistake. 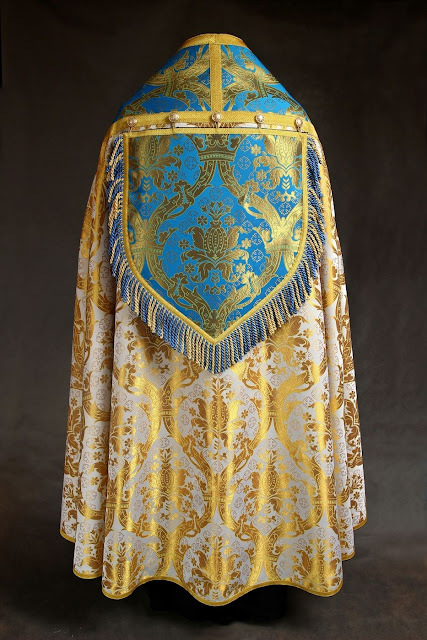 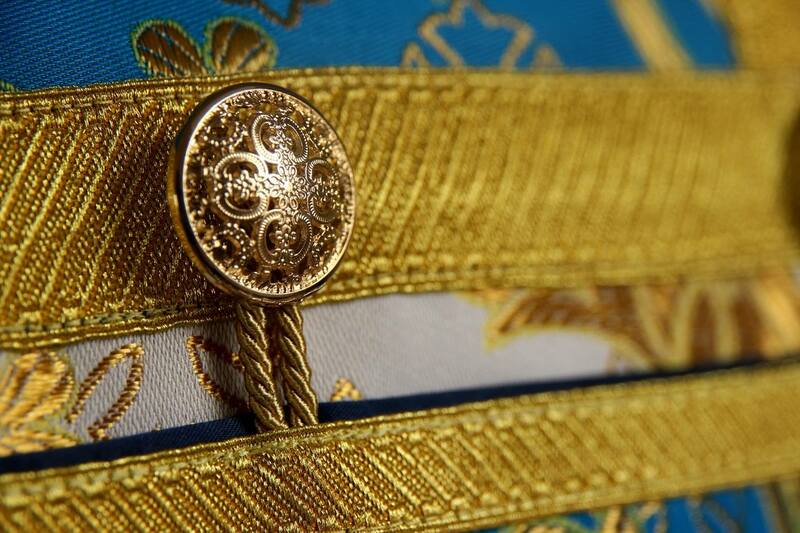 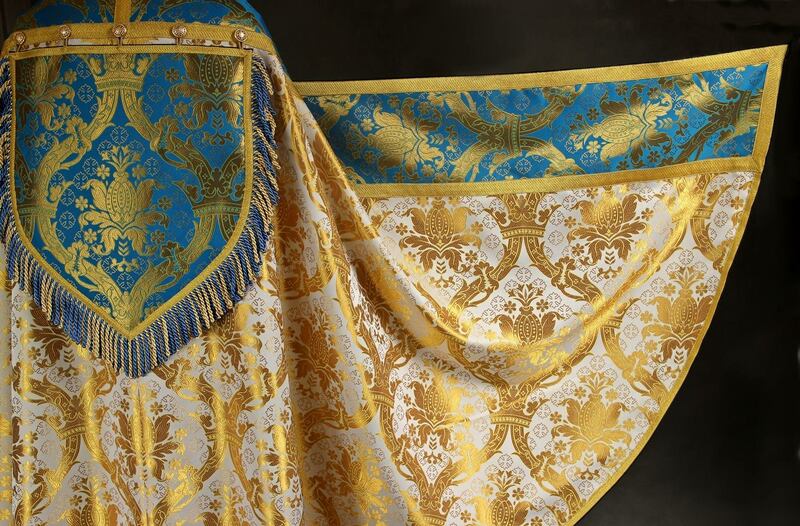 Instead, it counter-balances these with a good use of other ornamental details and textures, seen in the blue and gold fringes and the ornamental buttons from which the hood of the cope is attached. 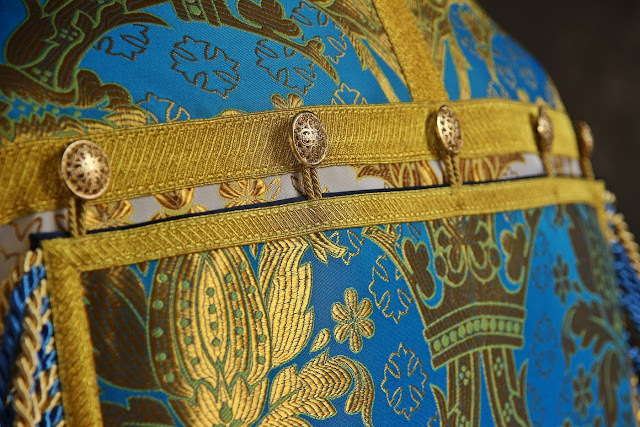 I cannot emphasize enough the importance of small details and textural qualities such as these. 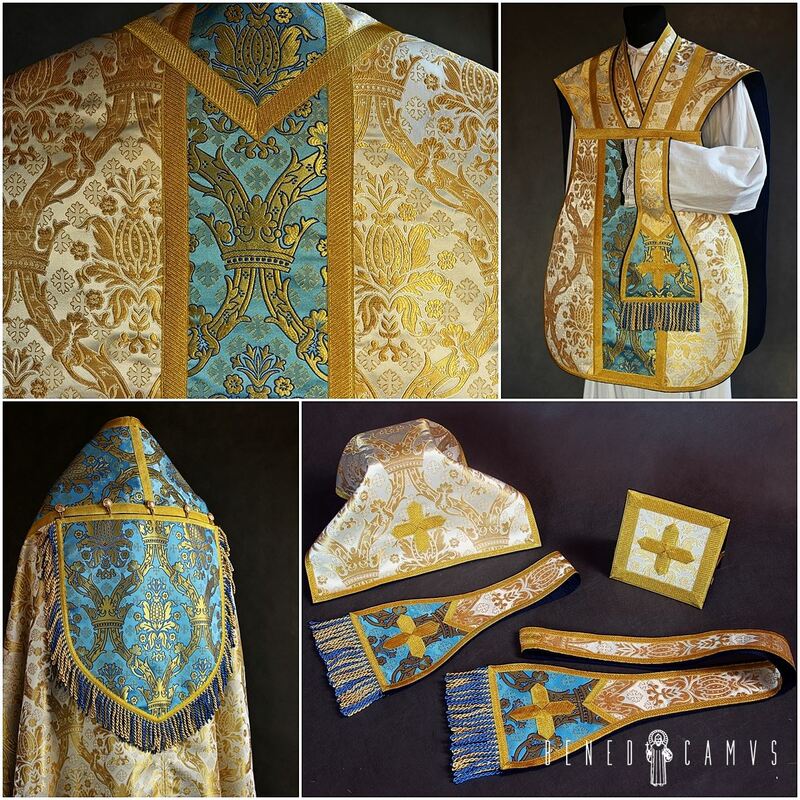 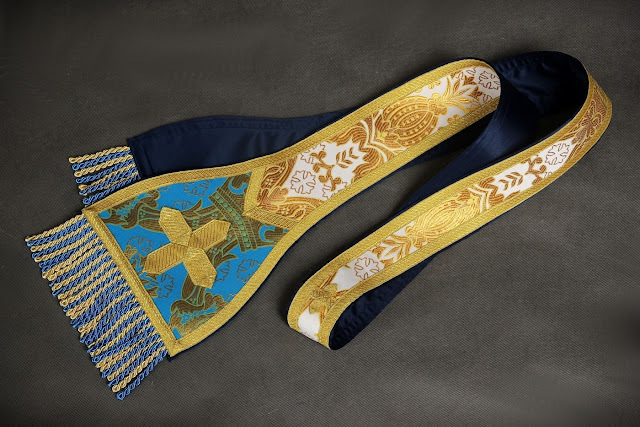 Benedicamus also has another very similar cope (and matching chasuble) which utilizes this same blue-gold and white-gold brocade combination. 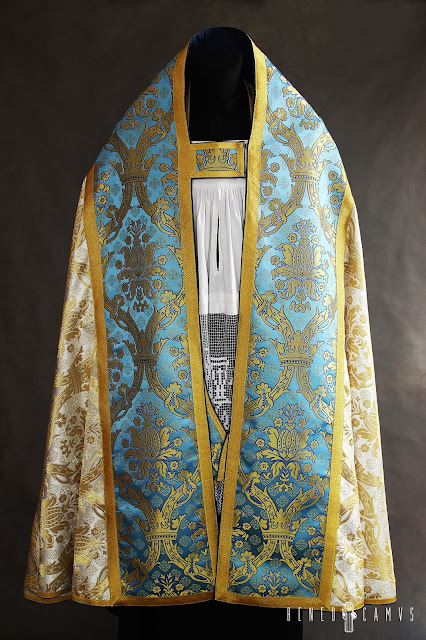 That particular design employs a slightly 'lighter' set of brocades which, as you will see, does give the vestments a slightly different character and feel. While such designs may not be exactly the same as a full fledged blue Spanish set of course, they do provide a reasonable and noble compromise for those who wish to give a nod to blue Marian symbolism while still remaining within the liturgical bounds of broader Roman rite.